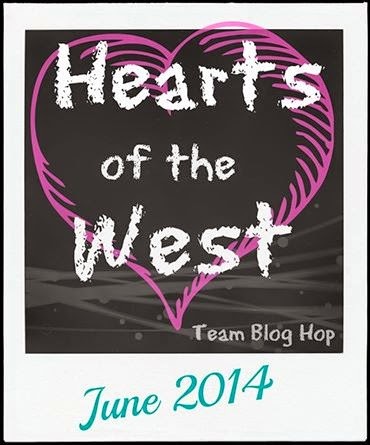 Welcome to The Hearts of the West Team blog hop. June Edition! 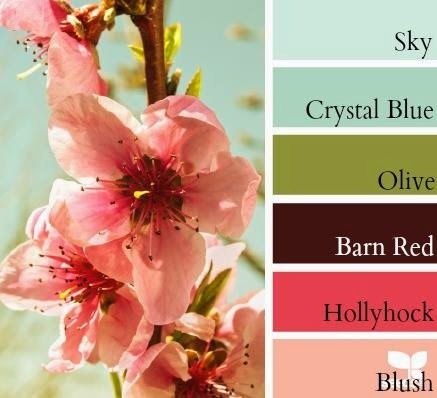 This month's color challenge has been picked by Nancy Klein. It's soft color pallet perfect for this time of year. The project is open to our choice to keep it simple. You're in for a treat, so grab your self a hot chocolate, sit down and hop with the Hearts of the West ladies! If you came from Corinna Murphy - http://corinnacraftfun.blogspot.ca/2014/06/junes-hearts-of-west-blog-hop.html then you're on the right track. This is a circular blog hop, if you get lost or want to start at the beginning then you can find the list down below. 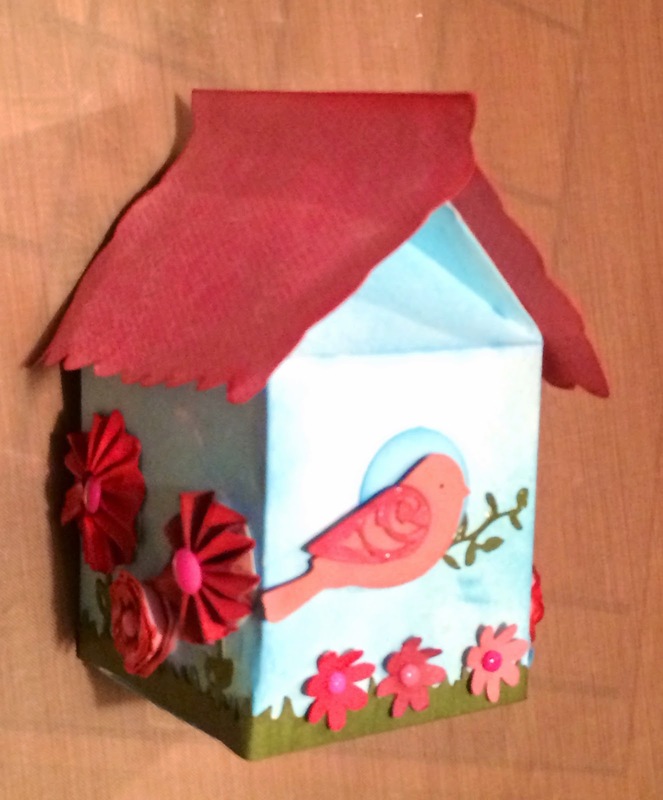 This bird house was created using the CTMH Artiste Cartridge. My paper stash is very low right now. The roof of the house is from the Lucy paper pack and was inked. The circle behind the bird is from my only piece of sky blue paper. Everything else in this project was made with plain white card stock and was either inked, sponged or colored with alcohol markers in order to complete the color challenge. The tiny circle behind the Artiste cut bird is actually sky blue paper edged in sky blue ink. Like I said, every thing else is originally plain white card stock. I was most impressed with how well the Artiste cut leaves look when heavily sponged with olive ink and coated with Liquid Glass. The little window was actually another scrap piece of sky blue paper with each piece inked by sponging olive ink around the edges. 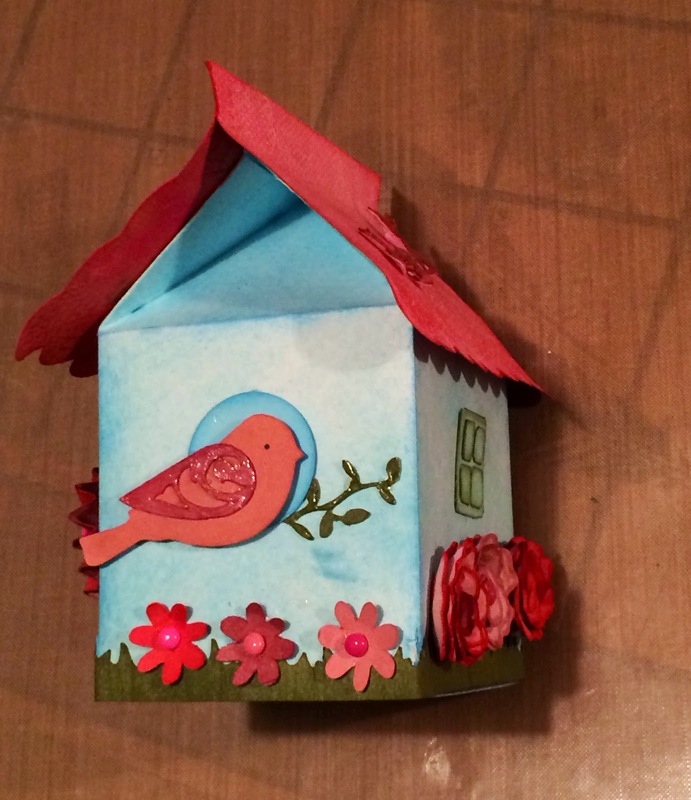 Everything else on this side of the bird house was created on the Cricut Artiste Cartridge, the roof is a piece of Lucy paper, the rest were on white card stock and then colored. I am so glad that this blog hop motivated me to create this adorable bird house that now looks great set on my fire place mantel! If you have any questions or comments, we love to hear from you all. Thanks for reading and see you next month. You’re always welcome here. 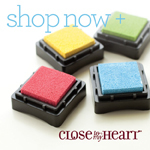 You can purchase your own supplies through your local consultant. It's very cute!! I love it!! Very cute! Love the flowers. What a cute project!! Love the different flower styles. Cute bird house - love it! Thanks for sharing! very cute, liquid glass sure is awesome! !